Welcome to the Pete's Small Engine parts discount store. 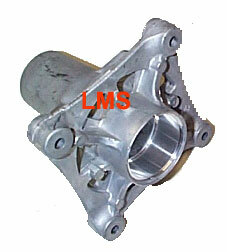 The parts listed below are top quality aftermarket parts that are made to OEM specifications. We try to give you the best pricing on some of the best aftermarket parts available with $7.95 Flat Rate Shipping. All references to original equipment part numbers and trade names are for identification purposes only. 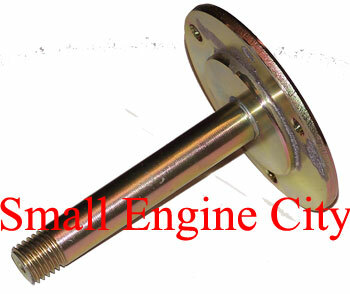 82-010-AR 044 Ariens 40 inch spindle assembly. Not offered by Ariens as a complete assembly. Fits most 40 inch Decks. Ariens replacement spindle assembly includes 5" x 5/8" pulley, housing, ball bearings, blade adapter hub, spacer, washer, bearing slinger, and blade adapter / trim. Spindle assembly - complete with all parts listed. LH Side ( large pulley) Not offered by Ariens as a complete assembly. 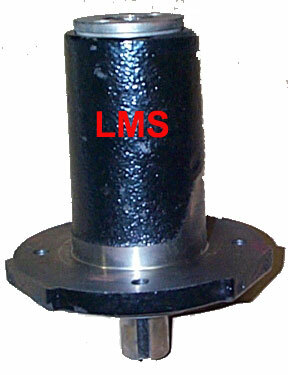 82-011-AR 044 Ariens 40 inch Spindle Assembly. Not offered by Ariens as a complete assembly. Fits most 40 inch Ariens Decks. Ariens replacement spindle assembly includes 4 3/4" x 5/8" pulley, housing, ball bearings, blade adapter hub, spacer, washer, bearing slinger, and blade adapter / trim. Spindle assembly - complete with all parts listed. RH Side ( small pulley) Not offered by Ariens as a complete assembly. 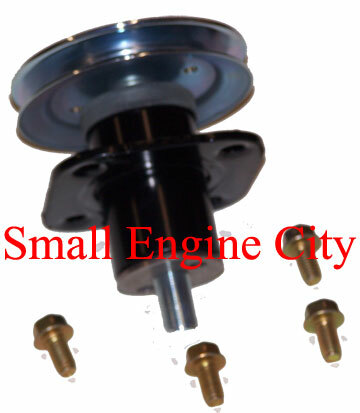 Spindle Assembly Replaces Ariens 59201000. Fits most XL and PM Series Ariens mowers. 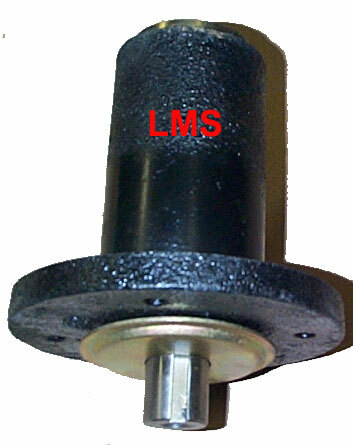 RH and LH Spindle. 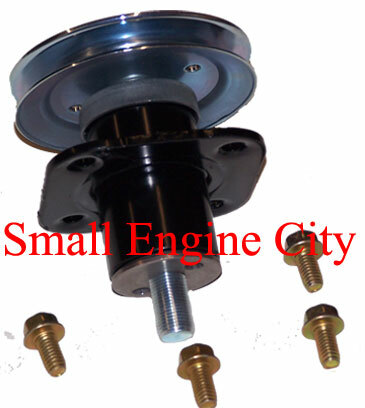 Ariens Spindle Replaces Ariens 51520900 - 4-1/4" Pulley - Fits Ariens Models 915141, 915155, 915159, 915171, 915323 and Gravely Models 915142, 915148 and 915170. 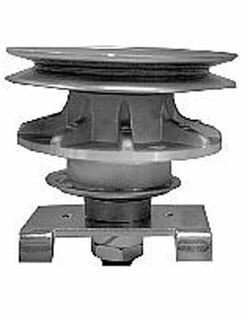 Ariens Spindle Replaces 51519500 - 4-3/4" Pulley - Fits 34" and 50" Models 911371, 911410, 911413, 915131, 915143, 915151, 915161 and Gravely Models 911411, 911412, 915140, 915144 and 915150. Replaces Ariens 515100 and 51510000. 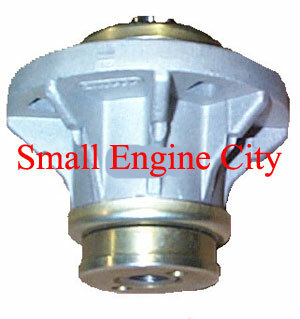 Spindle fits most Ariens Zoom and Mini Zoom models. 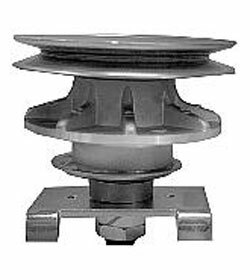 - Height 4-1/4"
Spindle Housing Assembly includes housing, bearings and bearing spacer. Replaces Ariens 01583800. Used on Ariens 42" Zero turns with timed belt system. 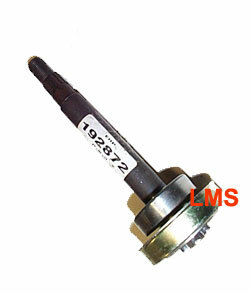 Spindle Shaft Weldment Replaces Ariens 01582400. Fits 42" timed belt decks used on Ariens Zero Turn Mowers. 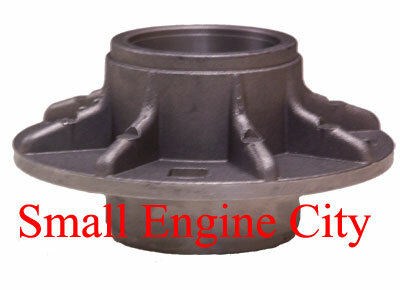 Fits Ariens 01583800 Housing Assembly. 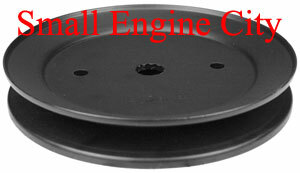 Deck Spindle Pulley Replaces Ariens 21546446. 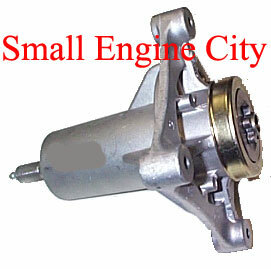 5/8" Splined ID - 6-1/4" OD - Height 7/8"
Petes Small Engine has a $7.95 Flat Rate shipping Charge on all Internet Online Orders! Pete's Small Engine carries Stens, Rotary, and Oregon Aftermarket Parts. All References to Original Part Numbers and Trade Names are for Identification purposes only! Aftermarket Ariens Lawn Mower Deck Spindles fits Ariens Lawn Tractors and Zero Turn Mowers.